Paul first served as a conservation officer and later as New Hampshire's Commissioner for the Fish and Game Department. From 1970 to 1978, he was the first Chief of the state's Bureau of Off-Highway Vehicles. Paul became Director of Parks and Recreation in 1978 and served New Hampshire in that capacity until 1983. He also founded the New Hampshire Snowmobile Museum which is located at Bear Brook State Park. Paul was an early and very active advocate for the sport of snowmobiling. He authored early legislation relative to the fledgling sport and actively pursued its passage in the New Hampshire legislature. His efforts in convincing the state's governor of the potentials of the sport did much to pave the way for the enactment of the favorable snowmobile and trail legislation. Also, as Director of the newly established Bureau of Off-Highway Vehicles, he broke new ground in many areas of trail planning and construction. In the formative years of the Iron Dog Brigade, Paul served that distinguished group in various official capacities. Paul is also a well-known journalist in the New England area. His book, "Smoke from a Thousand Campfires," details his travels over the North American continent both on foot as well as by snowmobile. Paul's book also reveals his introduction to, association with, and experiences dealing with the various very early snowmobiles. He was also a member of several early snowmobile expeditions: The 1959 Polaris Winter Expedition to the Allagash Country of Northern Maine as well as being a member of the first group given official permission to travel in Yellowstone National Park via snowmobile. Paul's close acquaintanceship with various prominent state and national political figures has prompted these influential individuals to recognize and realize the recreational and economic potential of the sport. Paul's efforts throughout his career to promote the sport of snowmobiling with favorable legislation and thoughtful planning are legendary. Many of today's state trail plans are directly traceable to this man's efforts and dedication. 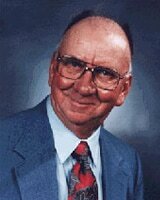 He is truly a snowmobile trail and program pioneer. Bud was introduced to the sport of snowmobiling when he attended a snowmobile race at Soda Springs near Lonner Pass in January of 1970. The machines and the sport made such an impression on him that within a few days he purchased his first snowmobile, a 643 Arctic Cat Panther. His association with organized snowmobiling has since spanned 22 years. To begin his long partnership with the sport of snowmobiling, Bud became a charter member of the Golden State Snow-Blazers of Sacramento, California. He served that club in many official capacities during the next ten years. The 88 Spur Riders of Jackson, California and the Bear River Trail Riders in Pioneer, California have also been clubs which have benefited from the experience Bud brought to leadership positions within those organizations. In the 1970's, several California snowmobile associations were organized. These were later replaced by the California-Nevada Snowmobile Association (CNSA). Bud served as CNSA President beginning in 1981. During his term as CNSA President, Bud also served the organization as Membership Chairman. It was during this period the number of clubs within CNSA doubled. 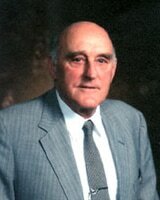 Bud was also influential in obtaining insurance for CNSA and its member clubs. His work with the state legislature and the State Department of Parks and Recreation helped shape the states snowmobile programs. 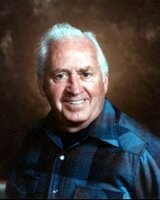 In 1982, Bud attended the International Snowmobile Congress held in Denver, Colorado as a CNSA representative. During his tenure as president of CNSA, he was also present at all International Snowmobile Council Western Chapter functions. Another of Bud's interests lie in working with youths. He has established snow programs form Boy Scouts as well as promoting "Kid's Day" and "Kid's Fishing Derby" sponsored by the snowmobile clubs which claim him as a member. Bud Whitcomb, an active and dedicated volunteer. Betty was one of the first in that state to recognize the need, promote and establish the Wyoming State Snowmobile Association (WSSA). In 1968, Betty drafted the original set of by-laws for the new organization and in 1969, at a meeting held in Douglas, Wyoming, the WSSA was born. Betty served as Secretary/Treasurer of the new state association. As is the case with many new organizations, finances were almost non-existent and Betty served without compensation, often providing her own funds for various organizational functions. In addition to her duties in the WSA, Betty, in the late 1970's, decided the "older" snowmobilers needed a separate voice in setting snowmobile policy within the state. This vision led to the formation of the associate group of WSSA called "Sourdoughs". Once again, Betty became an officer of this group doing most of the work necessary to keep it functioning smoothly. On the national scene, Betty has been actively involved in establishing the Western Chapter of the International Snowmobile Council. She served the Western Chapter as one of its first co-chairs. Betty was also influential in forcing the Wyoming Travel Commission to look favorably when it came to snowmobile activities and events. 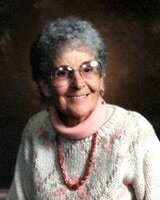 Betty Sable is an exemplary volunteer and a committed and dedicated promoter for all organized snowmobiling. Dave was a partner in the Roseau, Minnesota-based Hetteen Hoist and Derrick Company. Dave collaborated with the firm's two other partners and, in 1954, built the first Polaris Snow-Cat. He remained with the Company until his retirement in 1988. Dave was one of the great pioneers of the sport as well as an individual inspired those around him. This was a trait which proved invaluable during the infancy of the fledgling company known today as Polaris. This also served as a positive factor in selling the new sport of snowmobiling as an exciting recreational concept. In its early years, the partners struggled to keep the young company afloat. This is where Dave's ingenuity, zeal, determination and dedication to an ideal proved invaluable. Dave's credibility and unassuming frankness bolstered the young company during its early, lean years. Under Dave's direction, Polaris grew from a handful of employees to a company which has diversified and employs thousands of people. As one of the partners commented, "It was comparable to shooting at the moon with a slingshot!" Today, Polaris snowmobiles are sold worldwide. David Johnson was a true pioneer of the sport of snowmobiling.